By 2016, the e-commerce market is expected to grow to a staggering $1.85 trillion. Increasing rates of Internet access in emerging economies, most notably in India and China, continue to fuel the growth of online commerce, leaving virtually every consumer affected. The jewelry market, a $70 billion dollar industry in itself, will be the latest business to really take shape through online sales. The timing of this growth revolves around consumer preferences as they become more comfortable with buying fine jewelry online. To find out more about this shift in thinking, I spoke with Raphi Mahgereft, founder and CEO of Allurez. Growing 30 percent every year for 5 years straight, Allurez is a key player in the growth of the jewelry e-commerce industry that is making waves. What's the 'good news' on where the jewelry industry currently stands? The fine jewelry market is robust and overall, it's doing great. The recession is long gone and prices have stabilized so consumers are more comfortable investing in fine jewelry. With online jewelry specifically, we're continuing to flourish steadily and as the industry evolves and implements technological innovations to meet customer needs and I anticipate that will further penetrate the fine jewelry e-commerce market. 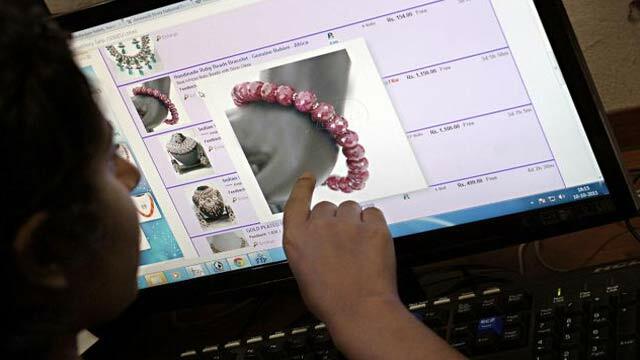 Where are the biggest opportunities for jewelers looking to break into the online marketplace? As more jewelry retailers realize the opportunity in the e-commerce sector, the market will become more competitive. Jewelers looking to break into the online marketplace must offer something unique that others don't. The more saturated the market, the more the consumer's expectations rise - they're not just looking for an excellent piece anymore, they're becoming customers of the brands that provide the best shopping experience. For us, we've found that it revolves around the customer. We focus on unparalleled client amenities, such as outstanding customer service through our engaged online jewelers, 30 day money back guarantee, free shipping and an easy to navigate website so clients can design customer pieces if they'd like. Mobile is also important to consider for those entering the online space. The segment of mobile buyers is big, and getting bigger. As of 2015, 30 percent of all online purchases now happen through mobile devices, and we can expect that number to continue to rise. Even when making a purchase in store, 82 percent of shoppers say they consult their phones before making a purchase. Jewelry retailers will increasingly cater to these mobile users with mobile apps and mobile-friendly websites. How do you see luxury apparel companies playing in the fine jewelry space? Do you see them as a threat to jewelers? When it comes to fine jewelry, apparel companies are not considered competition. These companies don't specialize in jewelry and often times their pieces are priced extremely high because consumers are paying for the brand name versus the product itself. Jewelers, online and off, have decades of expertise in jewelry and therefore will always be able to offer better-designed, more affordable pieces. Additionally, apparel brands, no matter how high-end, generally don't offer customizable items. Consumers are becoming more interested in the potential of customization. A survey conducted by Bain & Co. found that roughly one quarter of shoppers are interested in online customization options. E-commerce jewelry makers can expand the number of options they offer to their customers. This will ultimately open up more options for customization, allowing consumers to tailor more aspects of their jewelry. What are your predictions for the next 3-5 years in the jewelry ecommerce arena? 3D printing is an opportunity we're exploring and I see that being a big breakthrough in the industry as a whole. We're aiming to provide a 3D imitation of the jewelry so the client can try it on, wear it for a few days and really feel assured in their piece. Items like engagement rings are so emotionally charged; we want to make sure we're consistently going above and beyond to impress our customers. As jewelers and consumers become more comfortable with selling / purchasing items of such significance online, e-commerce will be commonplace. I see online jewelry sales will continuing to flourish for the next few years and as the industry implements these innovations to meet consumer demands, that growth rate will accelerate to reach it's stride.